If you are seeking a free divorce consultation in the East Brunswick or Fort Lee area, call us at Green & Associates at 732-390-0480 or 201-242-1119, our NJ divorce lawyer and NJ divorce attorney will assist you and night appointments are available. Consider us your divorce center where you can acquire all manner of advice as to the issues of divorce from experienced legal counsel. There are times in a New Jersey divorce where a guardian ad litem is required in order to proceed with a NJ divorce case where one party is incompetent. For instance, a party may be in a nursing home because of Alzheimer's or dementia, and without a guardian ad litem, they cannot be competent to have a divorce put through. But in those instances, where a guardian ad litem is appointed by the New Jersey Family Court to represent their interests in a divorce proceeding, a divorce may go through. There may be issues of equitable distribution of assets and those assets being used up for health care, rather than being divided equally so they are not all taken by Medicare or Medicaid . If you need help working through these issues, call us at Green & Associates, at 732-390-0480 or 201-242-1119 for a free consultation in our East Brunswick divorce or Fort Lee divorce offices. 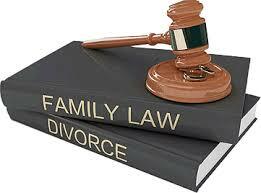 Our NJ divorce lawyer and NJ divorce attorney will help you today! Thanksgiving, Trump, Clinton and a New Jersey Divorce - The Politics of Divorce. It is probably best during these contentious political times not to talk about politics during the Thanksgiving holiday, especially if you and your spouse are on opposite sides of the political spectrum. 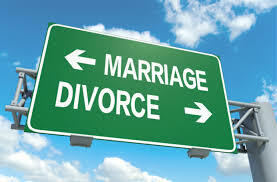 It is rare that I've seen a divorce over political views, but continuous arguments, growing apart, different values can all be triggers to parties over time moving to the inescapable conclusion that a divorce may be what they both want. It is doubtful that the election or arguing about it over Thanksgiving has led you to a divorce, but if you are considering a divorce, and want advice as to what your rights are if you go through with a New Jersey divorce, call us at Green & Associates at 732-390-5900 or 201-242-1119 in our East Brunswick divorce or Fort Lee divorce offices. 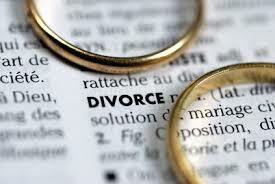 Our experienced NJ divorce lawyer and NJ divorce attorney can help you and we offer free consultations. If you are looking for a NJ divorce lawyer in the East Brunswick area, please call our office at Green & Associates at 732-390-0480 for a free consultation. Night and weekend appointments available. Our office is conveniently located at 522 Route 18 North, Suite 5, East Brunswick, New Jersey. We handle all manner of divorce and family law matters, uncontested divorce, default divorce, contested divorce, child custody issues, child relocation, alimony, child support, equitable distribution of assets and debts, such as a marital residence, retirement accounts, pensions, businesses. We also handle domestic violence complaints and temporary restraining order filings and final restraining order hearings in Middlesex County Family Court. New Jersey Flat Fee Divorce or New Jersey Flat Rate Divorce. Call us at Green & Associates and speak to our New Jersey divorce lawyer and New Jersey divorce attorney in a free consultation about a flat fee divorce or flat rate divorce, generally available in default or uncontested divorces when the parties are amicable about their terms of divorce, at 732-390-0480 or 201-242-1119 in our East Brunswick divorce or Fort Lee divorce offices. If you need help calculating the term of alimony in your New Jersey divorce case, call us at Green & Associates, at 732-390-0480 or 201-242-1119 for a free consultation in our East Brunswick divorce or Fort Lee divorce offices with our experienced New Jersey divorce lawyer. Night and weekend appointments are available. 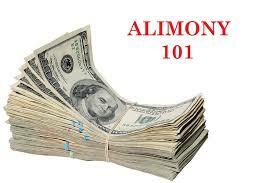 On September 10, 2014, New Jersey’s alimony statute, N.J.S.A.2A:34-23, was amended and it specifically addressed how calculations of how much alimony and the term of alimony were to be determined with divorces in New Jersey going forward. Most recently, the New Jersey Supreme Court reviewed the New Jersey alimony statute as to determining the amount of of alimony to be paid. When determining the amount of an award, the Court stated that a court must evaluate the actual needs of the dependent party and the actual means of the other party. NEW JERSEY QUICK DIVORCE AND FAST DIVORCE – SAVE MONEY AND TIME! In New Jersey, if parties are amicable, they can seek a quick NJ divorce and fast NJ divorce, by addressing the process of divorce in a timely fashion and agreeing upon terms of their divorce sooner than later, avoiding costly and lengthy litigation in the Courts. We can help you with your quick divorce or fast divorce! Generally, the process is that one party or the other files a complaint for divorce and obtains a docket number from the New Jersey Family Court. Upon obtaining a docket number, the other party may be served with the summons and complaint for divorce. The party served must file an answer to the complaint or file an appearance in the case within 35 days of being served or they will be in default. Calculation of Child Support When Taking Exemptions in a NJ Divorce. Often in settlement in a New Jersey divorce, the parties alternate taking exemptions/deductions for the children. By alternating these exemptions, generally, it changes by a small amount the child support to be paid by the non-custodial parent or parent of alternate residence. An average of New Jersey child support guidelines run for this alternating situation may be done to deal with this issue. If you have questions with the calculation of the New Jersey child support guidelines for the settling of your New Jersey divorce, call us at Green & Associates to set up a free consultation with our NJ divorce lawyer and NJ divorce attorney at our Fort Lee divorce or East Brunswick divorce offices at 732-390-0480 or 201-242-1119. Night and weekend appointments are available. Enforcement of Postjudgment Orders for Supervised Parenting Time. There are times when supervised parenting time must be ordered for a party as to the parties' children. It may be due to a history of substance abuse or domestic violence in a child custody matter. Regardless, if a party does not follow a supervised parenting time order or a supervisor of the parenting time does not wish to supervise anymore, a court order may need to be enforced as to supervised parenting time and adequate relief must be ordered. Either a party's supervised parenting time must be suspended or an alternative means for supervision must be ordered. There are companies that have paid indidivuals supervise parenting time for those parties where there is no other alternative for supervision. 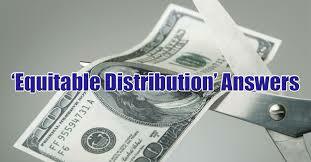 These companies have a cost, and it is a burden to the party to be supervised, but there may be no other alternative.